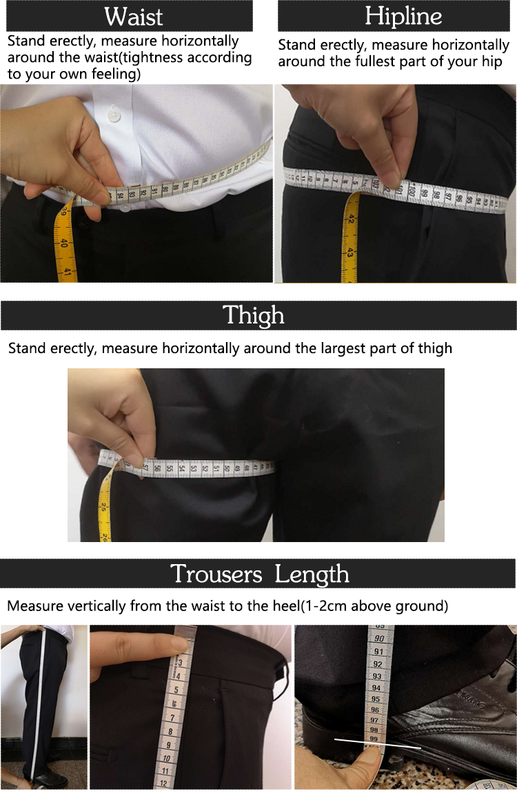 Before making bespoke suits&shirts, we need your body size as reference. 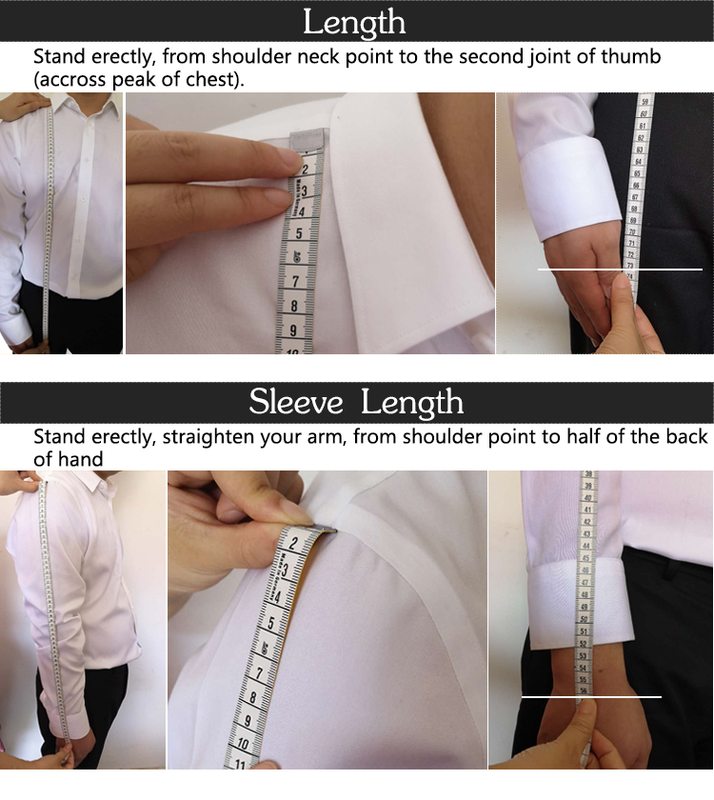 You can use tape measure (or rope) to measure take your measurements by yourself. 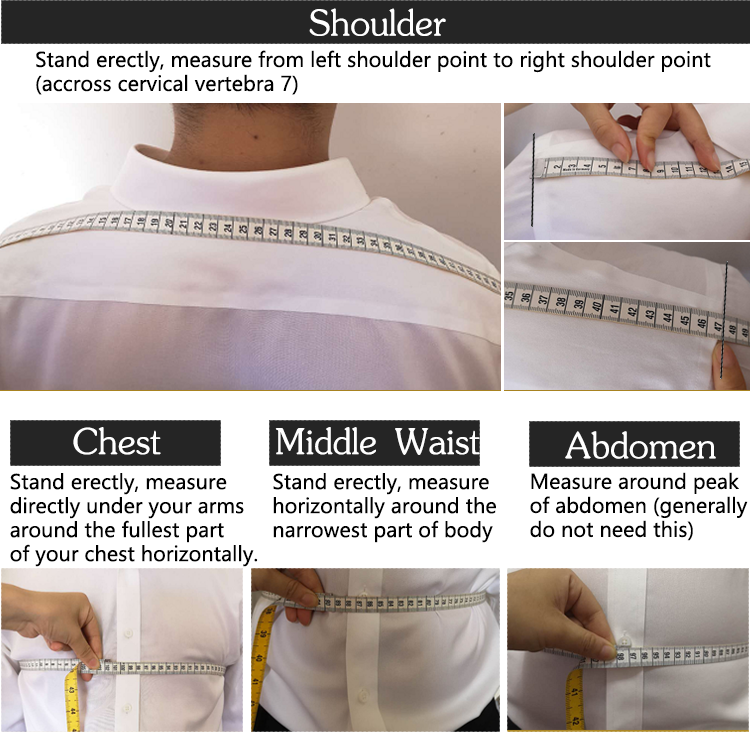 Generally, we need these sizes to make perfect bespoke suits&shirts. If you do not know how to measure, please do not worry. Tutorial steps are attached below for your reference. 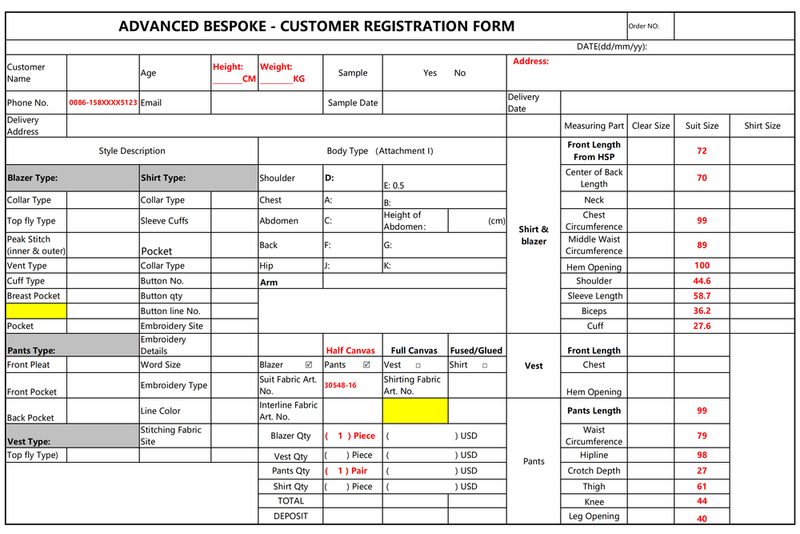 After measurement, please send the registration form to us, and talking more details about your suits and shirts. It is very easy.